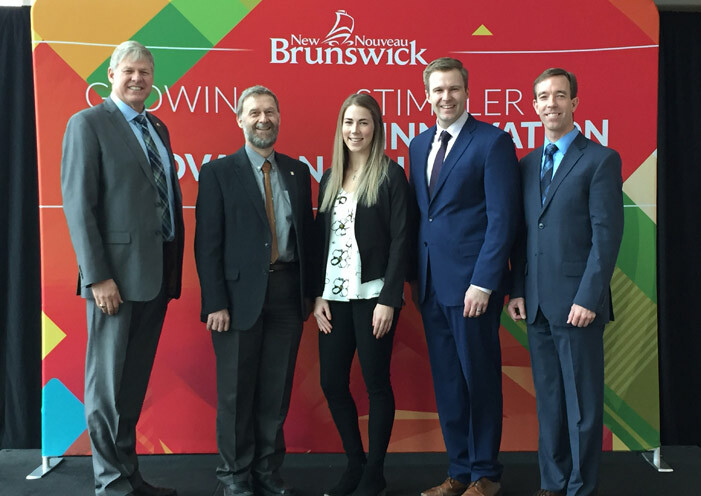 Graduate students at the University of New Brunswick are now eligible for a slice of an $11.4-million provincial research investment through the New Brunswick Innovation Foundation. Premier Brian Gallant made the announcement on UNB’s Fredericton campus on Tuesday, May 1. The investment will support research and development at post-secondary institutions and research institutes and help retain and attract graduate students to the province. With 75 per cent of all provincial research being conducted at UNB, the institution will likely receive a large portion of the overall funding. UNB is home to 1,600 graduate students across both campuses who are studying more than 40 graduate programs. Of those 1,600 graduate students, 900 are research-based. Right now, more than 100 UNB graduate students receive NBIF funding. This number will grow as a result of the investment, and will help support NBIF’s Research Innovation Fund, Graduate student scholarships, Research Assistantship Initiative, and Research Technician Initiative; previously, the Research Technician Initiative was a biennial program. With the increased investment, the foundation intends to offer this program every year. In 2017-18, 32 researchers received investments, 182 graduate students received scholarships, researchers received funding for 112 research assistants, and six full-time research technicians were employed through these programs. The New Brunswick Innovation Foundation is an independent non-profit corporation that specializes in venture capital and research investments. Dedicated to building innovation in the province, it works to deliver the resources and expertise required to achieve new opportunities, growth, and advancements in New Brunswick. “Boosting the capacity of our post-secondary institutions and research institutions through strategic investments will ensure that our province is ready to seize opportunities and innovate as we work to make New Brunswick the smart province,” said Premier Gallant, who is also minister responsible for innovation. Throughout New Brunswick in 2017-18, 32 researchers received investments, 182 graduate students received scholarships, researchers received funding for 112 research assistants, and six full-time research technicians were employed through these programs. Innovation Week takes place in New Brunswick from April 29 to May 5, 2018, with events and activities to celebrate the culture of innovation in the province.